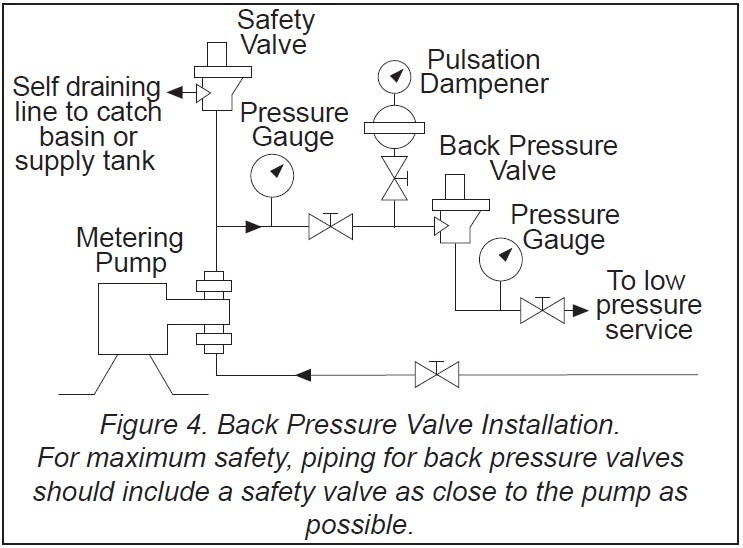 The valve Pressure should be set with valve installed and with the pump operating. With pressure gauge installed between pump and valve, adjust the valve adjusting screw until the desired pressure is read in gauge. 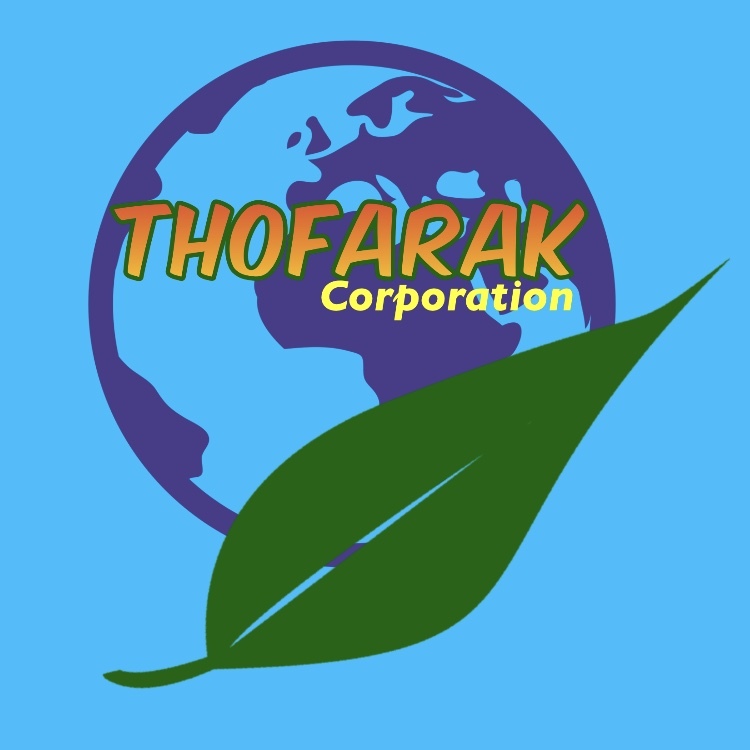 • Back pressure may not be properly adjusted. Adjust the set pressure by turning the adjusting screw (N). • Debris may be lodged between the seat and diaphragm. Disassemble, clean well, and reassemble. • Spring seat (F) may be stuck open. Disassemble and lubricate with grease. • Back pressure may not be proprely adjusted. Adjust the set pressure by turning the adjusting screw (N). • Spring seat (F) may be stuck closed. Disassemble and lubricate with grease. • Diaphragm is ruptured or torn. Disassemble and replace all affected items. Dirt, chip, or burrs are holding the valve partially open. Poppets or seats are worn or damaged. Valve piston in the main body is sticking. Valve in the body or on the seat is cocking. Orifice or balance hold is blocked. Orifice or balance hole is plugged. Valve has a loose fit. Valve in the body or the cover binds. Poppet or seat is worn or damaged. Oil viscosity is too high. Poppet or seat is faulty or worn. Line pressure has excessive return. Pressure setting is too close to that of another valve in the circuit. An improper spring is used behind the valve. Valve has an improper spring. Operation is continuous at the relief setting. Dirt is in the oil. Poppet or seat is worn. Orifice or balance hole is restricted. 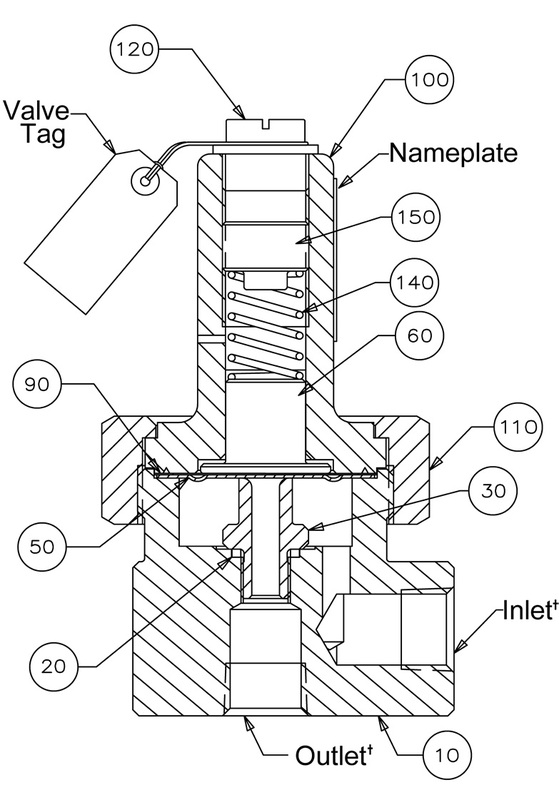 Valve spool binds in the body. Drain line is not open freely to a reservoir. Spring ends are not square. Foreign matter is on a plunger seat or in the orifices. Gasket is leaky or blown. Valve covers are not tightened properly or are installed wrong. Valve plunger is worn or scored. Valve-stem seat is worn or scored. Orifices are too large, which causes a jerky operation. Binding occurs because moving parts are coated with oil impurities (due to overheating or using improper oil). Valve setting is too low. An excessive load is on a primary cylinder. A high inertia load is on a primary cylinder. Valve setting is too high. Relief-valve setting is too close to that of a sequence valve. Pump does not build up to the unloading valve pressure. Control linkage is worn or is binding. Solenoid is burned out or faulty. Valve spool is not centering properly. Valve spool is not shifted completely. Leakage occurs past the piston in a cylinder. Lines from the valve housing are loose. O-rings on lockout springs or plugs are leaking. Check-valve spring or seat is defective. Spool valve’s position is adjusted improperly. Valve seat leaks (pressure or return circuit). Valves are not adjusted properly. Pressure drop is insufficient across a valve. Valve’s poppet or seat is worn. Valve was not adjusted properly. Passages or orifice is restricted. Hydraulic functions are holding in relief.